At the top of the page you'll find information on new books, films, events and retreats about silence. ​organisations that support developing a spiritual discipline of silence in different ways. 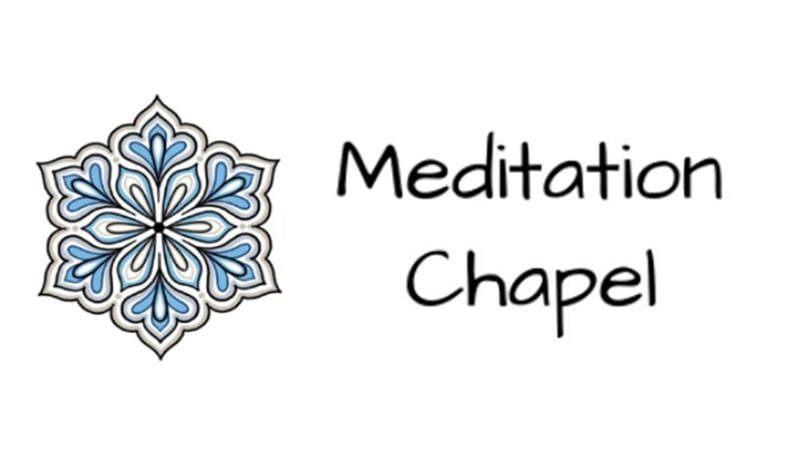 NEW: In this on line meditation chapel you can meet together with people from all over the world for regular meditation at a time that's convenient to you. There are groups based in WCCM or Centering Prayer practices as well as different faith traditions. This book discusses Alison Woolley's research findings about the role, value and impact of chose practices of silence in the faith lives of contemporary Christian women. Available from mid-January 2019 in hardback and ebook formats. This book is about how meditation helps to make work good work, while transforming the workplace environment through more humanly rich and enjoyable encounters. The spark for this book came from a series of talks Laurence Freeman gave to the staff at DP Architects, Singapore in January 2017, where they now continue to meditate every morning before work begins.The emphasis throughout is on practice rather than theory. The language is inclusively secular. Five short episodes offering an abridged reading of an exploration of silence by philosopher and adventurer, Erling Kagge, featured on Radio 4 from 28th January to 1st February. A secular perspective but with many helpful insights. The Cathedral hosts two silence based prayer times each month, on the second and fourth Mondays at 1pm until 1.30pm, in St Aidan's Chapel. Individually Guided Retreats with daily Spiritual Accompaniment over a choice of dates from March to October. All accommodation is in individual spaces: in separate, wooden chalets, or private sections of a building. With a shared chapel, sheep, owls and pheasants a-plenty, and a brand new Art Cabin, Llanerchwen is set in beautiful countryside overlooking the Brecon Beacons. 8 days with lunch £495; or self-catering £430. Self-directed retreats or with occasional accompaniment also available: £30 per night. This 3 day retreat offers time and space for personal retreat in the company of a small group of other women with similar yet unique motivations and approaches to being on retreat. ​​Cost for non-residetntial £175. Cost for residential £290. A rare opportunity for Centering Prayer practitioners to be guided on retreat by Cynthia Bourgeault. This retreat will give experienced meditators the opportunity to continue the work of transformation by following a rhythm consisting of extended periods of Centering Prayer, teaching sessions, and the practice of conscious work. Time between sessions will mostly be in silence. Cost: £500-600. Some bursaries available. Liverpool, 4th, 5th and 6th May, 2019.
and giving the St Bride's Public Theology Lecture, 'Putting the Mind into the Heart'​, on Monday 6th May. Booking NOW is strongly advised as Cynthia's teaching is always in high demand. An opportunity to complete the full Spiritual Exercises in four parts, at your own pace over four separate 8 day retreats. A choice of dates from March to October. Prior familiarity with Ignatian types of prayer is essential for these retreats. ​All accommodation is in individual spaces: in separate, wooden chalets, or private sections of a building. With a chapel for shared evening prayer and a brand new Art Cabin, Llanerchwen is set in beautiful countryside overlooking the Brecon Beacons. Each part, 8 days with lunch £600; or self-catering £535. Next evening: Tuesday 7th May, 2019, 7.30pm, BD2 area. We meet every 6-8 weeks to discuss our slow reading through two books about silence based prayer and meditation; a chapter of each between meetings. Currently reading Anne LeClaire's Listening Below the Noise and Benignus O'Rourke's FInding Your Hidden Treasure. Each meeting also includes 20 minutes of shared silence. Meeting one weekend a month at the Carmelite Priory,Boars Hill, Oxford. Presented by the Centre for Applied Carmelite Spirituality team and invited speakers. A two-part retreat. In part one, guided by experienced practitioners, participants share in the life of the resident community, with time for meditation, silence, yoga and creative activities such as pottery, writing, music and dancing. ​Part two is an optional pilgrimage along the Camino walk to Compostela. A film about Thomas Merton by director, Cassidy Hall. An intimate film about the final years of the Trappist monk, Thomas Merton, from 1965 until his untimely death in 1968. Interweaving meditative images of his hermitage at Gethsemani Abbey with selected material from over 150 hours of rarely heard audio recordings that Merton made in the space. Experience the beauty of the 'Holy Isle' of Lindisfarne, one of the treasures of the Celtic Christians, and home of St Aidan, whilst spending time resting in God in one of the UK's most loved 'thin places' - traditionally, the name given to places where the veil separating heaven and earth is almost transparent. Cost: £225. East Molesey, September 15th, 6pm - September 20th, 4pm. This group will explore questions such as 'am I doing this right? ', 'nothing is happening, why bother? ', 'how can I stop my thoughts?' and provides opportunity to practise and share in our journeys. Open to people with all levels of experience and all faiths or none. The House of Prayer is a space for prayer and meditation run by the Sisters of the Christian Retreat. As well as providing a tranquil environment close to London, the House of Prayer has a program of silence-based retreats, courses and regular groups to help people on their spiritual journey. Click button to see their retreats programme. The Meditatio Centre is part of the outreach of the World Community for Christian Meditation. Inspired by the vision of the Benedictine monk, John Main, it seeks to teach meditation to help restore the contemplative dimension of life. The Meditatio Centre shares the fruits of meditation with the wider world and directs its wisdom towards the crises of our time with wide-ranging programmes addressing education, interfaith, mental health and social justice. and ongoing courses, including training in spiritual accompaniment and their very popular 'Personal and Spiritual Development' course. One Monday each month St Bede's keeps silence for those wanting a Quiet Day. They also offer a couple of 8 day guided silent retreats at Whitby each year. Dates for 2019: between 2nd and 16th June. Places on these fill very quickly. ​in the UK, Europe and globally in 2018. A variety of retreats and opportunities to deepen your faith in a beautiful rural setting in the Yorkshire Moors. From single days to longer weekend or mid-week retreats, from silence to making music, or exploring literature to walking in the stunning countryside, there's something for everyone. Guided silent retreats from a few days to the full classic 30 day Ignatian retreat in the gorgeous surroundings of North Wales. Self-guided retreats also available. ​£70 for 6 days for those under 30 and £140 for those over 30. Priority given to young and those on low incomes. The April budget retreat still has places available, but book soon! In this video Giovani Felliconi from the World Community for Christian Meitation (WCCM) discusses the three levels of silence that WCCM hope to offer at the new Bonnevaux retreat centre in France.